Integrated and Guided Counseling Mode includes factors collection, category judgment, resource integration, way to integrate and guide for development etc. 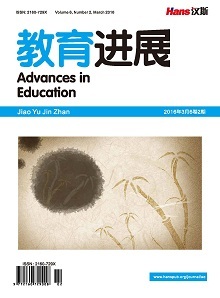 Weariness of Senior high school students has three characteristics: universality, complexity and intractability. Basic assumption is that weariness exists differently in the degree, individual, cause and expression. Weariness problem is divided into three kinds: emotional, cognitive, behavioral, and six types: emotional type, unable type, helpless type, incompetent type, will type and burnout type. “Integrated and Guided Consulting Mode” is built on different weariness issues on the basis of trend about different theories and methods. As multiple methods, “Integrated and Guided Consulting Mode” is effective for different weariness and is sequential on concrete measures. “Integrated and Guided Consulting Mode” provides specific path, multiple skills and values guide for Weariness. 艾伦, E•艾维, 玛丽•布莱福德•艾维(2005). 心理咨询的技巧和策略——意向性会谈和咨询. 117. 陈飞虎, 黄胜, 邹立君(2013). 职业技术教育学硕士生学习倦怠的成因与对策. 职教论坛, 9期, 32. 董昆仑, 王冠军(2011). 认知行为疗法治疗厌学中学生心理障碍的效果. 齐鲁医学杂志, 4期, 322-324. 樊琪, 程佳莉(2008). 学习惰性研究综述. 心理科学, 6期, 14581460. 傅安球(2002). 中学生厌学心理及其干预与学习效率的相关研究. 心理科学, 1期, 22-23. 高志华(2012). 初中生自恋倾向成就目标对学习倦怠的影响. 中国学校卫生, 7期, 23. 胡定荣(2010). 影响薄弱校初中生学业成绩的主因素分析. 教育理论与实践: 中小学教育教学版, 10期, 39-41. 蒋京川, 刘华山(2005). 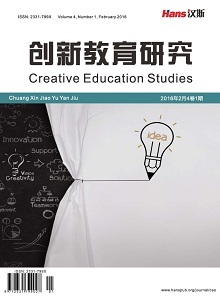 中学生成就目标定向与学习策略——学业成绩的关系研究. 心理发展与教育, 2期, 56-61. 焦璨(2009). 澳门初中生厌学心理分析. 上海教育科研, 9期, 44-45. 金刚玉, 高金金, 陈毅文(2012). 学习策略,自我效能感在不同情境下对成绩的影响. 浙江大学学报(理学版), 2期, 23. 金艺峰(2005). 厌学学生的整合心理治疗. 中国临床康复, 4期, 179. 李慧, 利爱娟(2012). 大学生学习倦怠情况调查研究. 内蒙古社会科学, 6期, 152-156. 李敏, 甘怡群(2011). 高中生学业倦怠倾向与父母教养方式的关系分析. 中国学校卫生, 1期, 36-37. 刘君栓, 夏晓翠(2012). 英语专业大学生厌学情绪的成因及对策. 中国成人教育, 2期, 61. 罗滨, 陈颖, 李亦菲(2012). 高中中等生学习心理品质现状调查分析——以北京市为例. 中国教育学刊, 2期, 9. 孟四清(2009). 天津市中小学生厌学状况的调查. 天津市教科院学报, 3期, 46-49. 穆慧, 韩翠萍, 韩凯吉(2007). 作业疗法治疗厌学中学生心理障碍效果分析. 精神医学杂志, 5期, 315-316. 倪士光, 伍新春, 张步先(2009). 威海大学生学业倦怠及其影响因素分析. 中国学校卫生, 2期, 167-168. 申自力(2012). 我国中小学生厌学研究现状与进展. 中国学校卫生, 10期, 1278-1280. 石雷山, 高峰强, 沈永江(2011). 班级集体效能对初中生学业自我效能与学习倦怠的调节作用. 心理发展与教育, 3期, 289-296. 孙月霞, 刘翠美, 张秀(2008). 森田疗法对厌学中学生心理健康及自尊水平的影响. 护理学杂志, 8期, 60-61. 唐卫海, 孙秀宇(2006). 学习策略的元认知训练对学习成绩的影响. 天津师范大学学报(社会科学版), 1期, 74-79. 田澜(2010). 小学生学习习惯问卷的编制. 心理学探, 5期, 89-94. 王后雄, 孙建明(2013). 中学化学过度教学:问题,成因及对策. 教育理论与实践:中小学教育教学版, 1期, 62-64. 王小新, 苗晶磊(2012). 大学生学业自我效能感,自尊与学习倦怠关系研究. 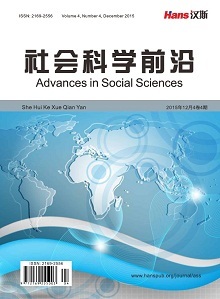 东北师大学报(哲学社会科学版), 1期, 45. 王轩(2012). 中学课堂教学时间分配的数学模型. 教育导刊, 3期, 32. 王志毅(2012). 高中生学习倦怠研究. 教学与管理(理论版), 5期, 41. 吴水燕(2010). 大学生自尊对师生关系与学习倦怠的中介作用. 中国学校卫生, 8期, 939-941. 邢强, 陈丹丹(2010). 中小学生学习倦怠研究:现状与展望. 教育导刊, 9期, 25-29. 邢强, 陈丹丹(2012). 中学生大五人格与学习倦怠的关系研究. 教育导刊, 9期, 10. 杨平(2004). 中小学学生厌学的原因与对策. 教育实践与研究, 7期, 15-16. 张林, 周国韬(2003). 自我调节学习理论的研究综述. 心理科学, 5期, 870-873. 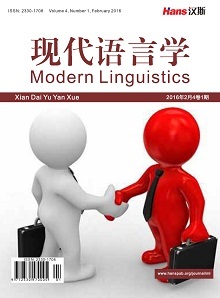 张耀庭, 马金焕, 韩业伟(2012). 论农村中学生厌学的成因及其对策. 现代教育科学(普教研究), 3期, 27. 朱爱所, 张彩芬, 史秀琴(1994). 初中学生厌学情况的调查报告. 山西大学学报(哲学社会科学版), 2期, 29. 朱小麟(2009). 高职大学生学习倦怠的现状及其归因分析. 中国成人教育, 24期, 70-71. 周阳敏(2013). 本科生厌学调查与竞争性选择机制研究——基于消费者主权理论的解释. 河南社会科学, 1期, 73-78.